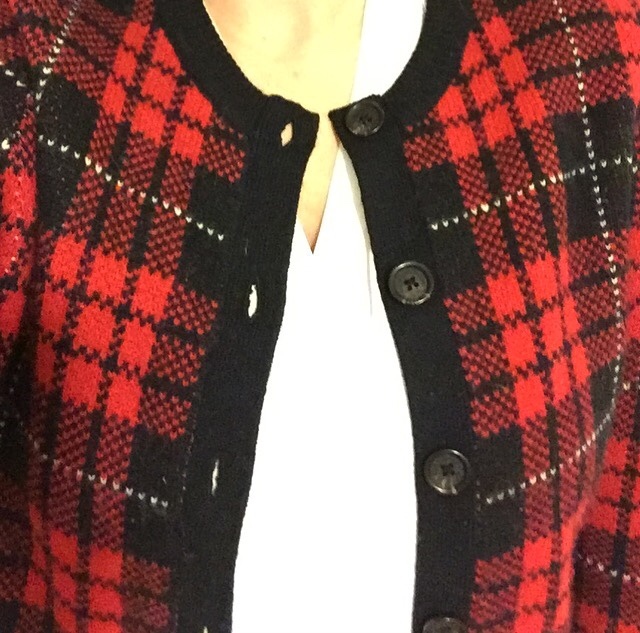 This wool, plaid cardigan from Brooks Brothers is the warmest sweater I own. 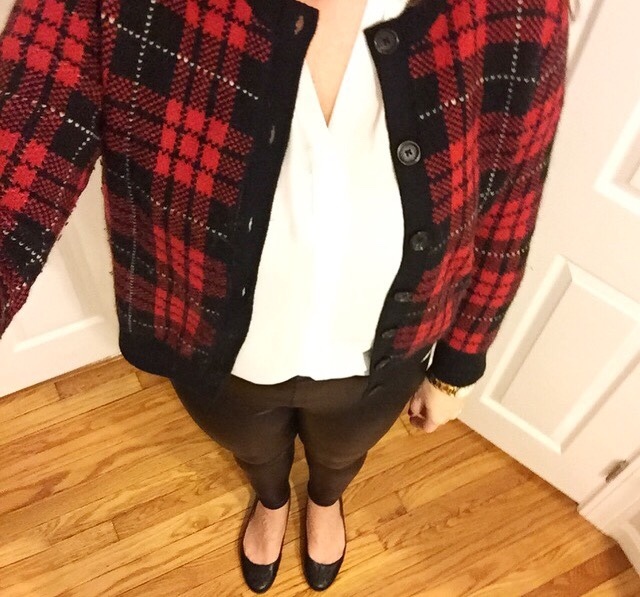 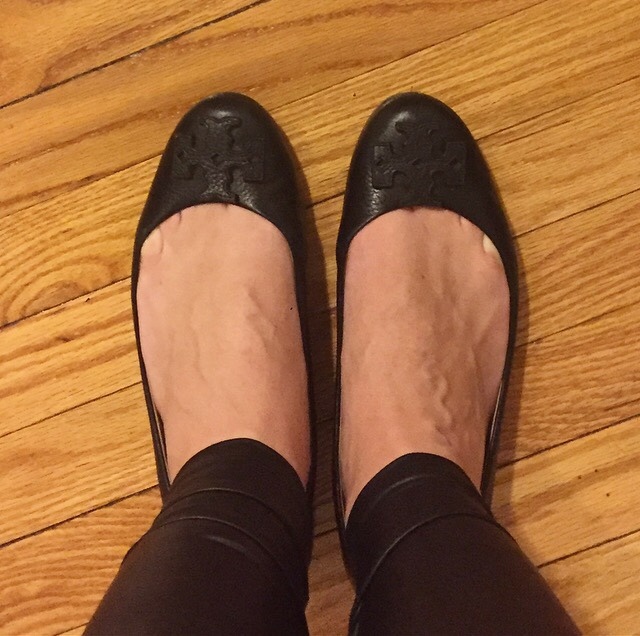 I often wear it to work with suit pants and patent leather heels, but recently I paired it with these faux leather leggings from Nordstrom and my Tory Burch Lowell flags. 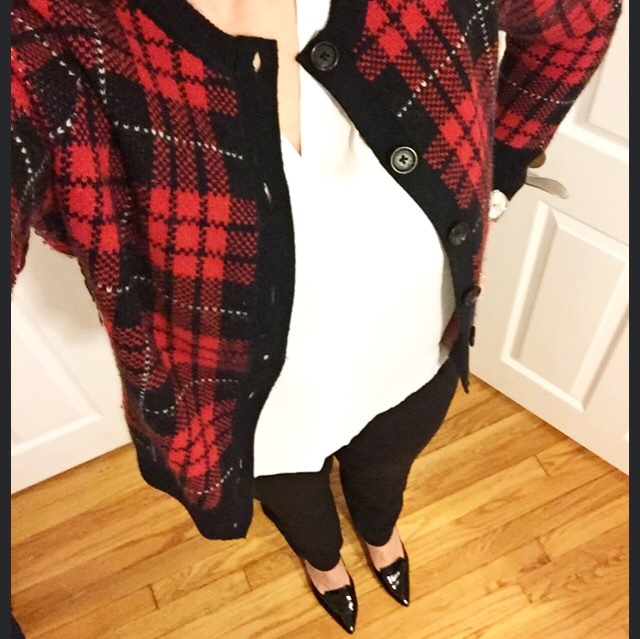 This look is perfect for after work or a night out. 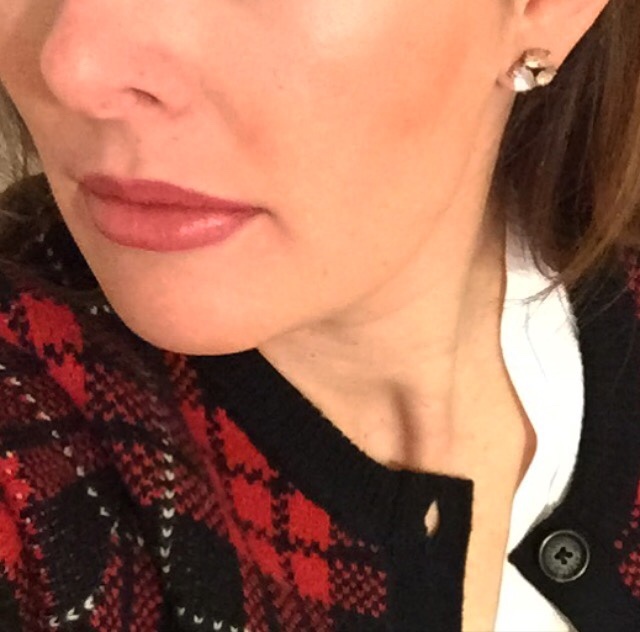 These J.Crew crystal earrings add a nice, little bit of sparkle, too.